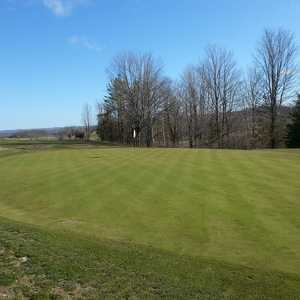 The 18-hole Pine Ridge Golf & Country Club in Warkworth, ON is a public golf course. Pine Ridge Golf & Country Club measures 6051 yards from the longest tees and has a slope rating of 118 and a 68.4 USGA rating. The course features 3 sets of tees for different skill levels. Nestled against the rolling hills of Northumberland County, Warkworth Golf Club features an undulating terrain covered with mature trees. The large, carefully contoured greens present quite a challenge, especially since they are also heavily guarded by sand traps.